Overlanding is a growing trend that you’ve likely heard about. It’s this sort of expedition-style travel where the destination isn’t the only reason for going. The experience is about the journey and what happens between each destination. The most accepted definitions of overlanding include the words “self-reliant” or “self-sufficiency” right up front. There’s a massive amount of equipment available to improve success rates on remote-travel adventures, but are Overlanders really self-reliant? Today we’ll discuss how you can improve your survival odds as they pertain to your vehicle and even recover from what seems like a catastrophic failure. There was once a time where the barrier to entry for overland travel was considerable experience and a custom-built machine that would get you where you wanted to go. These days though, it seems like the only thing necessary is deep pockets or a lot of credit cards. I see people swapping their rigs out every year or two for the latest and greatest pickup or SUV on the market. Social media profiles have exploded with pictures of what seem like clones of the same two or three overland vehicles. The same routes litter popular mapping and route-sharing apps like hurricane spaghetti charts. Times are changing and technology is improving, but that doesn’t mean we’re getting better at exploration. It stands to reason that a properly outfitted truck or SUV that rolled off the assembly line only a few months ago would be considerably more reliable than something 10-15 years old. With age and mileage come the increase in wear and tear on nearly every mechanical component of a vehicle. This isn’t really an argument. With that said, I’ve seen some very interesting catastrophic failures in my time on the trails from both new and old vehicles. These problems are addressed through an understanding of what a vehicle needs to perform, so you can be self-reliant. We’ve got a lot to cover, so I’m going to get the boring stuff out of the way first. One of the simplest ways to make your vehicle more reliable is to leave well enough alone. The manufacturer built your vehicle with performance characteristics in mind. They’re designed to work in their stock configuration and they’ll do it reliably for many years if you keep up the basic maintenance. Read the owner’s manual to determine how much weight is recommended for your vehicle. This isn’t an attempt to limit your fun, but rather a conservative average of specifications across all variants of a particular vehicle. For many years I’ve defaulted to the manufacturer’s specification argument and it’s an easy one to win. As it turns out though, there will be people in your life that may not have the same vision you do for adventure and travel. My wife likes to wash her hair, which means we need more water. I’m not willing to sacrifice peace and quiet for a campground, so this meant we had to pack more water on the truck. When considering being self-reliant, more food, recovery equipment and whatever hobbies you’re entertaining will add tremendous weight very quickly. I’d say that most of the cookie-cutter overland rigs out there are over their Gross Vehicle Mass (GVM). I see trucks breaking that were touted as being the most reliable piece of equipment ever built. (You know who you are.) Being conservative with your equipment selection and tire size, as well as accounting for every pound (or kilo) of weight possible and keeping it under the Manufacturer’s GVM will keep your rig running for many years to come. So you want to get further and you want to stay longer, while being self-reliant? Your rig needs some steroids and very thorough considerations. As mentioned above, vehicles that exceed the GVM are more susceptible to breaking certain components. The manner in which you overload the truck and also how you drive will determine which pieces are going to break first. Let’s consider massive tires as an example. They’re much heavier and the weight is spread out over a larger area. If I were to put 37” tires on my Hummer H3’s stock axles, I’d very quickly break a CV or even an axle shaft. However, swapping the drivetrain for one-ton truck components affords several luxuries I wouldn’t have had before. With the right gearing and suspension components, I can add a massive amount of weight to the truck and it would still be reliable. Why not buy a one-ton truck instead? For starters, they’re huge. I couldn’t maneuver something like an F-250 through some of the trails we really enjoy. By adding a couple of “helper” leaf segments to the rear leaf spring pack of my H3 though, I’ve increased the amount of weight I can carry without the rear-end sagging or resting on the rear bump stops. Now I know there are a lot of people out there that have no interest in firing up a welder and taking on their own project vehicle. It’s easier and more comfortable to make those payments every month and slowly build up a weekend warrior that can be shared across numerous social media platforms. I’d never suggest you do something that makes you unhappy, so if that’s the thing you feel you need to be successful then you should stick to that. What I am advocating though is that serious off-roaders learn how to manage field repairs to be self-reliant. 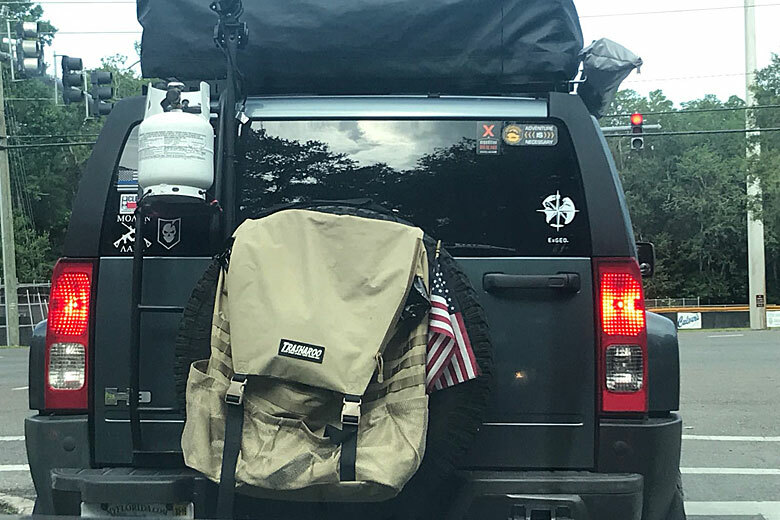 You can pay someone to install your lift kit and mount your roof rack, but it would be ill-advised to take that vehicle outside cellular range if you don’t know how to make repairs. 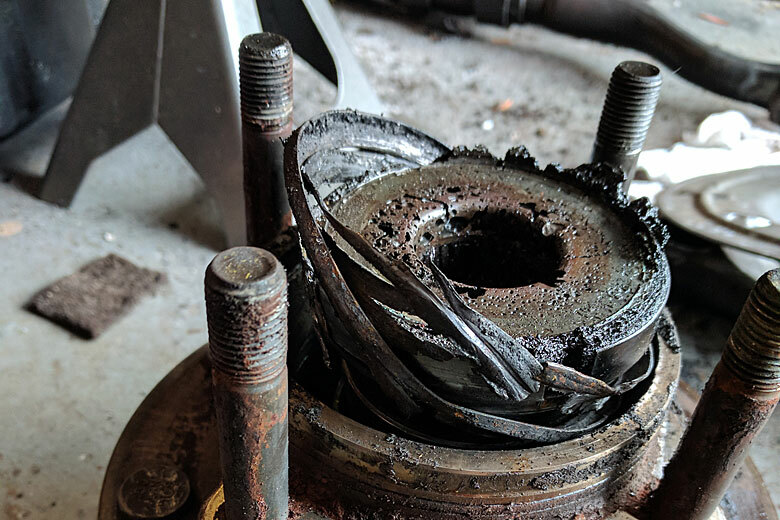 One of the most important things to consider for being self-reliant, outside of your fuel and water consumption rates, would be how to fix broken components on the trail. Let’s say you’re out of cell service on a solo trip and your radiator blows up. You can’t drive a car like that for more than a couple minutes without serious engine damage. Metal Putty might do the trick, but so could a brazing torch and some rods. 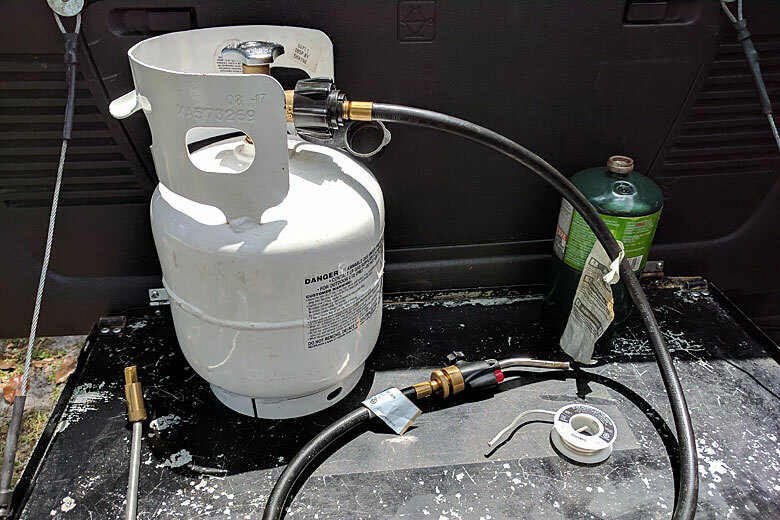 We pack only the brazing tip and a couple of rods for different tasks, as our propane bottle and adapter hose are already on the truck for cooking. Do you have the tools and knowledge to change a tire from one rim to another? 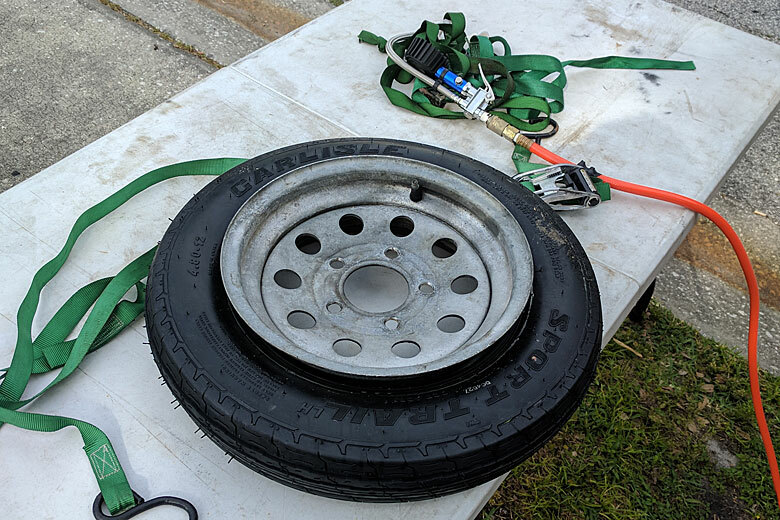 Hopefully, we all know how to change a wheel for the spare, but removing and replacing the rubber itself might save your life if the vehicle is crippled. Perhaps you lose a tie rod or a coil spring goes rogue? A lot of times when suspension components fail, the vehicle becomes immobile. There’s no limit to what could happen and knowing how to make temporary repairs can mean the difference between life and death. As an example, I have a friend from South Australia that was stuck for a week in the desert because of water incursion in his fuel system. 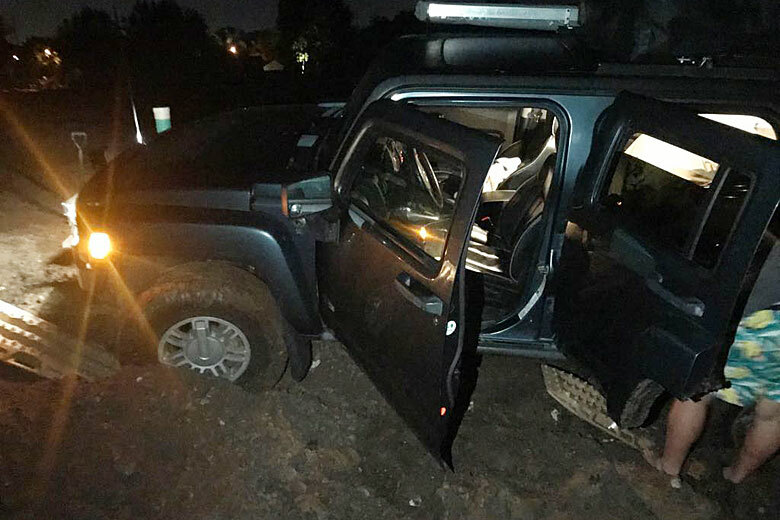 There was an unforeseen flash flood during an otherwise normal trip that left the trails covered in several feet of water. Emissions equipment draws fresh air from above the fuel tank and once submerged, also draws water into the fuel lines. Without cellular service and with only limited tools, they worked to disassemble and clean the entire fuel system. They eventually drove back into flooded waters after nearly a week. What I’m getting at here is that if you leave your vehicle to someone else to build for the sake of having a cool social media truck, then it’s extremely likely you need someone else to handle field repairs. Learning how the components of your particular vehicle fit together will help quickly diagnose noises and damage so you can catch problems before they become disasters. I like to touch on the GVM issue often because it makes a profound impact on your vehicle’s performance. When you understand how each component works, you can begin to build a tool kit based on the vehicle’s specific needs. For example, we carry a single tool roll stored beneath the front passenger seat. With the exception of a few longer pieces stored in strategic locations, this is all we need to be self-reliant. I’m confident that I can completely disassemble and reassemble the entire truck based on the tools in the tool roll. This knowledge comes from a considerable amount of time working on these trucks and maintaining the pieces that do fail before we have problems. When you need fewer tools (since you know what you’re actually going to use) then you can shave pounds in a lot of places. It’s pretty difficult to find remote places in the U.S. these days. If you’re in Europe, it’s even harder. However, with the allure of remote destinations filling our daydreams and newsfeeds, these journeys are becoming more and more realistic. The ease of access doesn’t make them any less dangerous though. There was a recently published video series of a group that traveled the entire length of the Pan-American Highway from Alaska to Argentina. A considerable number of people had no idea this was even a possible route until it hit the Overland groups. Now it’s no longer merely a possibility, but the ultimate goal for a lot of folks in the adventure-travel community. There are a considerable number of routes that can leave you stranded in a massively remote environment. Consider Australia (Oceania) for a moment. They have roughly the same land mass as the United States, but only 1/7th the population. Most of the inhabitants are packed into cities and metro areas on the coast, leaving tremendous expanses of land between locations with available help. The infrastructure isn’t as complex as the U.S. and cell service (including sat phones/GPS) isn’t available in the furthest reaches of their environment. In addition, the terrain is harsh and unforgiving. 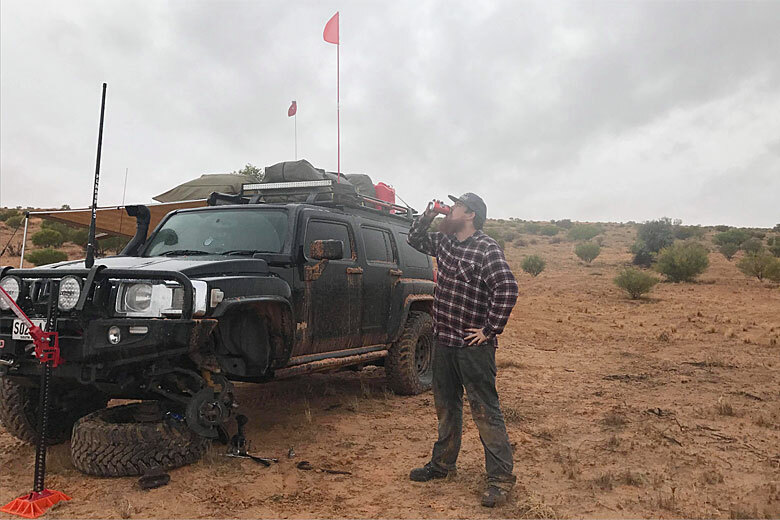 There are numerous online video channels from Australian adventurers and one of their common themes is “bush repair.” It’s impressive to see wheels falling off of trucks, hearing differentials explode, rollovers and being stuck beyond hope. However, they always seem to find a way to get the vehicle functioning again, if only long enough to reach safety. Getting into this situation in the U.S. or Europe is less probable, but the danger is still there without a doubt. An understanding that moves beyond the realm of “basic” can dramatically increase your survival odds and expedite repairs. There are many of us in the community, be it tactical or otherwise, that have the ability to assess a situation, learn how a mechanism functions and make a hasty repair in the field. Consider a situation where you’re fleeing from [INSERT BUG OUT SCENARIO HERE] and you experience a catastrophic failure. After the vehicle stops moving, you should have a clear idea of where to begin your search for problems before you even open the vehicle door. In hostile environments, the ability to drastically cut down on time for diagnosis means the repair can begin in a more timely manner. Whether you’re in a gunfight or on reserve rations, seconds matter. There are a number of articles across ITS that provide a wealth of information and don’t be afraid to get back to the basics. As they say, “You don’t know what you don’t know.” Consider looking through my Recovery Article and “Four on the Floor” for more information on how vehicles are put together and how to recover them. Pick up a good welder and learn how to use it. Different welding machines are built for different results, tasks and metals. Jump online and look at how to bend and weld pipes. A lot of these things aren’t going to be as simple as building random metal art and then understanding how your truck runs. If possible, talk with some of your friends and see about going in on a project vehicle together. Attempt to make it as strong, powerful, safe and self-reliant as possible. Do everything yourself so that you truly understand how these systems work. You may have to say goodbye to your garage, but it will be a real blast and very well may save your life someday. Reassess your equipment regularly. As you develop new skills, you’ll likely need to change your kit and the tools you use. A dual battery system can run a refrigerator and a water system, but they can also be used to weld if you wire them in series. Try to make everything as simple as possible and stick to the utilitarian nature that we’ve been accustomed to here at ITS. Get online and look to see what problems hobbyists and fabricators are having with their vehicles and learn to correct those problems as well. Also, consider purchasing one of the many manuals available for working on your particular vehicle. Keep in in the car and have it handy in an emergency. Just like in any life-threatening situation, remain calm and attentive. Certain aspects should be reflexive, but remember the adage “haste makes waste.” Being self-reliant sometimes means standing around with a beer and some friends to figure out what comes next. The post The Importance of Being Self-Reliant During An Overland Journey appeared first on ITS Tactical.